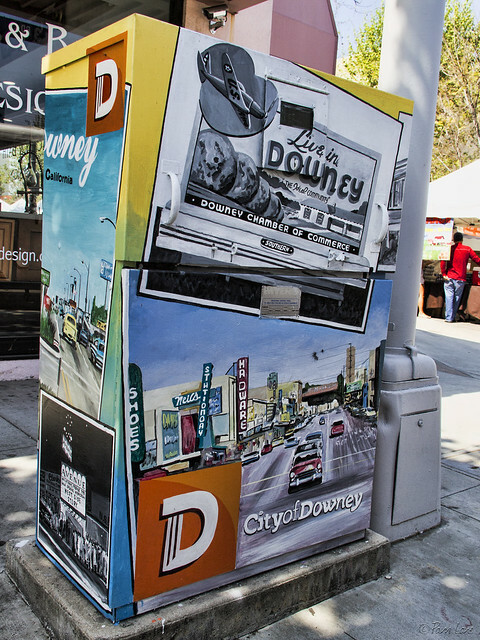 Here's another example of the beautification of the electrical boxes around Downey. This one focuses on historic Downey scenes, and is located in downtown Downey. 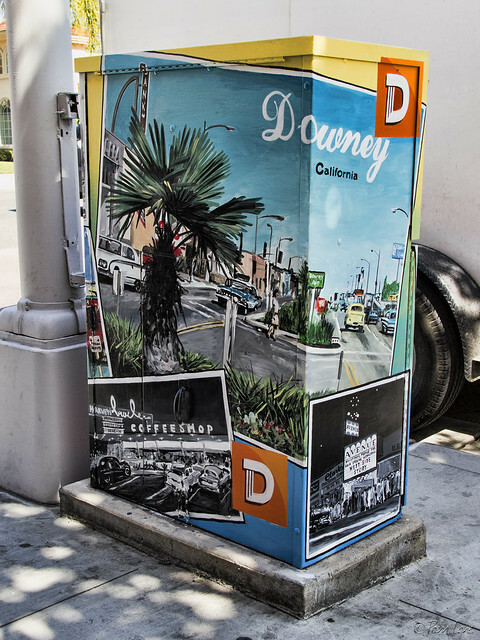 Sort of an electrical box version of Downey Doodle-icious?